Can Contact Lenses Go Down the Drain? Nope! Don’t do it! When you dispose of your used contact lenses, whether daily disposables or extended wear lenses, make sure you aren’t washing them down the drain or the toilet. The best option is actually to recycle them, and Dr. Ryczek can help! Our optometry practice is part of a new contact lens recycling program that promotes safe disposal of contact lenses to protect our environment – how cool is that? But of course, if you can’t recycle every time you finish wearing your lenses, always dispose of them with other solid, non-recyclable waste by throwing them in the trashcan. Why? 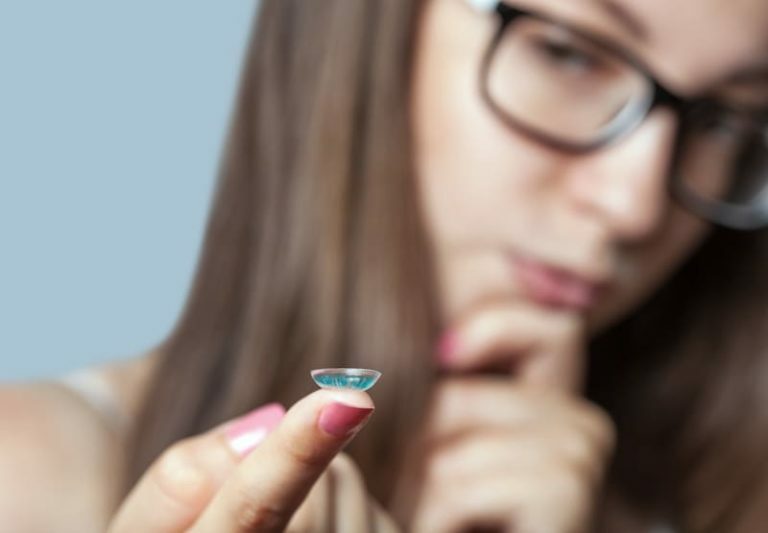 A recent study conducted by Arizona State University suggests that the plastic material from contact lenses might actually contributing the micro plastics issue – potentially harming humans and animals – when disposed of in sinks and toilets. That’s because when our seemingly small lenses get washed down the drain, they are actually ending up in wastewater treatment plants, which is problematic for many reasons both because of how and where wastewater gets reused but also because of the treatment process. Evidence suggests that the chemicals and processes used during the treatment of wastewater can weaken the bonds in the plastic polymers of the lenses, which ultimately cause them to break down into smaller plastic particles. These particles, or micro plastics, can then be ingested by all forms of life – including humans further down the food chain. On the bright side, the contact lens recycling program we participate in can help prevent this, as can alternative disposal in your trashcan. For more information about how you can participate in the contact lens recycling program, or to schedule a contact lens exam with Dr. Ryczek, call our St. Petersburg optometry office at 727-327-8855 today. Instead of spending time filling out paperwork at the office, start an online personal health record. This will save both you and Dr. Ryczek time during your next visit! Try it now to make your next eye care experience that much easier!